Anthony J. McCloskey, P.E., PennDOT's Bureau of Aviation director, was recently named to the panel for the Aviation Cooperative Research Program (ACRP) Project 01-37, which will look at performance measures for state aviation agencies. "In everything we do as a public servant, we must be held accountable for all decisions made using the taxpayer's money," McCloskey said. "Our actions must be transparent, too. This guide will provide each state agency a toolbox that could be used to demonstrate their value to elected officials, regulators, and stakeholders." The ACRP, which began in 2006, is an industry-driven applied research program that develops near-term, practical solutions to problems faced by airport operators. The program is sponsored by the Federal Aviation Administration. 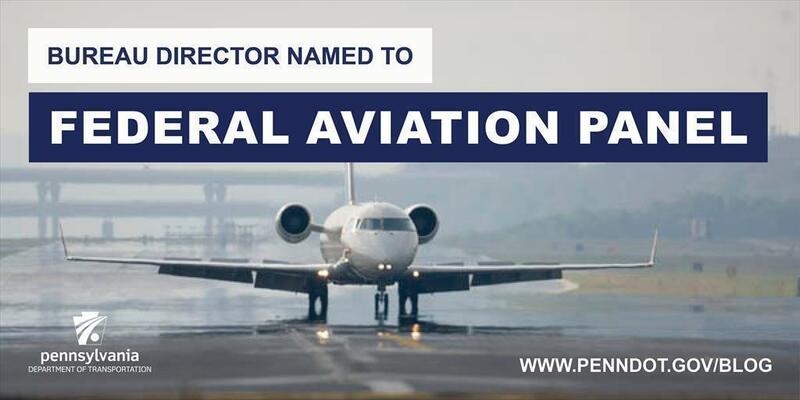 Research topics are selected by an independent governing board appointed by the U.S. Secretary of Transportation that includes individuals from airports, universities, FAA, and the aviation industry. The Request for Proposal was posted on December 4, 2017, and closed January 16, 2018. The entire project will take approximately 15 months, resulting in a publication. "In everything we do as a public servant, we must be held accountable for all decisions made using the taxpayer's money."